A young man returns from Thailand where he spent two weeks in rural areas backpacking, rafting, mountain climbing before he starts university back home in Scotland. He has returned to the UK two days ago with a stopover in Dubai and developed a skin rash with a low grade fever. He also feels lethargic and complains of joints pain with some nausea. The triage nurse calls you in her room as she is worried about an exotic, rare and maybe even fatal (she says), imported disease. Why is this important for the EP? Global international travel has exponentially risen in the past decades and a large proportion of the destinations include tropical and subtropical countries. Most post-travel illnesses can be managed on an out-patient basis with appropriate follow-up. Some patients, especially those with systemic febrile illnesses, or those who are clinically unwell may however need hospital admission. Furthermore, potentially severe, transmissible infections require enhanced infection control measures and may require higher levels of care. Emergency physicians (and other admitting clinicians!) are unfortunately often omitting to include a full travel history in their medical history taking for a variety of reasons (lack of knowledge, time pressures, volume of patients etc). The absence of a travel history in a patient with potential imported illness can affect not only clinical care but also have some severe public health implications. 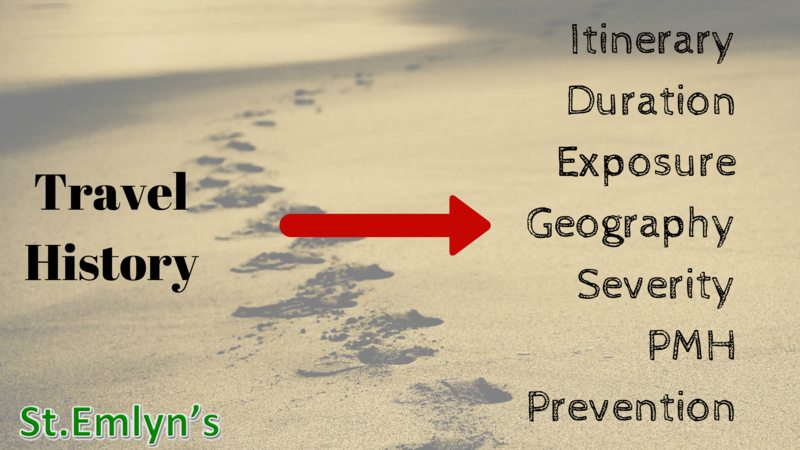 During this important (if not the most crucial) step you will need to explore the exotic area(s) the traveler returned from as this will give you an idea of the possible infections acquired during the trip. Malaria for example is endemic in most sub-Saharan Africa but your patient is (highly) unlikely to return with it after a trip to admire the Northern lights in Scandinavia. Our life is made so much easier as you do not have to store limitless information in your head nowadays. You can consult maps of endemic areas or of outbreaks areas on the Public Health England (if you practice in the UK and accessible here) or the Centre of Disease control and Prevention (if you practice in the USA and accessible here) websites. I however strongly recommend the International Society of Infectious Disease website which is updated fairly regularly. There are of course many other very good sites and you should consult the one relevant to your area of practice to at least familiarise yourself with it. Knowing the duration of travel and linking it with the time of onset of symptoms will help you to rule out most diagnoses. The incubation period for MERS for example is two weeks so symptoms developed after this period are more likely to be that of a good home-acquired flu. 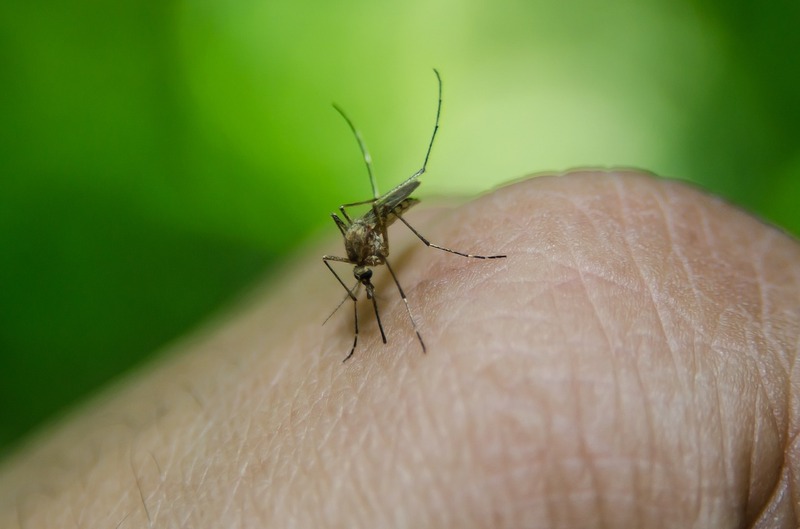 Malaria is tricky due to its variants that can remain dormant in your liver/spleen for years after the primary infection and the parasite can re-activate itself even decades later. Do not forget to ask about transits and flight connections. Your patient who lives in rainy Yorkshire (Northern England) might well have been to New Zealand but have a stopover in the Middle East on his way back so MERS for example becomes a possible diagnosis. I have covered how to prepare your ED for a MERS outbreak in a previous post. This is also important to explore. Did your patient visit a rural area with no running water or electricity in the middle of the jungle of Borneo or was he on a business trip to Singapore staying in a five-star hotel with full air conditioning in all rooms? The first one is likely to have malaria (vector- Anopheles mosquito) and the second maybe more likely to have legionellosis. Also, there are vast countries where an area might be endemic for a disease and another free of disease. I again would like to refer you to the website(s) mentioned above. It is unfortunately beyond the scope of this post to list common signs and symptoms of every imported diseases. They are non-specific and difficult to remember anyway as you are unlikely to meet these patients on a regular basis. One frequent and relatively reliable sign however is fever. So make sure you ask the two following two simple questions in any patient presenting with a fever or history of fever: “have you been abroad in the past weeks or have you been in contact with anyone who had been abroad recently?”. If the answer is no, I usually complete this by asking “when was the last time you have been abroad and where?”. This not only covers and often concludes your travel history but also allows you to rule out most imported diseases. This is part of your general history taking so I will not expand too much on this. Just to mention that some patient groups tend to get sicker quicker (children and elderly are more prone to dehydration from diarrhoea/vomiting for example) or some co-morbodities make some more susceptible (diabetic patients or those taking steroids/immunosuppressants). There is a myriad of immunisation (mostly in injectable forms) and chemoprophylaxis (often tablets) available to the traveler. When it comes to vaccines, it is essential to enquire about the timing of the injection in relation to the time of departure. Most vaccines will result in protective antibody titers some weeks after the injection (for example yellow fever vaccine is to be given four weeks before departure) and some will require more than just one injection and/or an appropriate titer check (hepatitis B for example). It is therefore quite possible that your patient has been vaccinated before departure but is not protected. This however should not be a problem as the travel clinic or the GP will have warned your patient (unless an unplanned/urgent trip). Do remember to ask when oral chemoprophylaxis was started and when terminated as they protect only if a full course was completed. There are malaria protection regimes that need to be started before the trip and continued after the return from the area at risk. Your patient might not volunteer this information unless specifically asked. Please remember that a meticulously taken chemoprophylaxis does not reduce your risk to zero. There is evidence of emerging local resistance to malaria prophylaxis and this needs to be kept in mind. Here you should explore any insect precautions taken (such as repellent, bed nets) as these would diminish the risk of mosquito transmitted disease (like malaria or Dengue fever). It is worth noting once again that the risk is never zero. Source of drinking water. Most of the big hotels will provide filtered or mineral water but your backpacker is likely to have been drinking tap/spring water which is not safe to drink in every regions of the world. Ask here also about freshwater exposure (such as swimming, rafting) for the same reasons. Ingestion of raw meat. In Africa, this is thought to be a potential route of infection for viral haemorrhage fevers. Explore consumption of seafood or unpasteurised camel dairy products as in the Middle East this is thought to be a potential infection route for MERS. Body fluid exposure (such as tattoos, sexual activity). HIV, viral hepatitis should be your clinical concerns. Always link your travel history with taking a sexual history. People do tend to go wild on holidays when travelling afar. Do not assume that your married patient, father to a lovely family has come back from his business trip to Bangkok and his penile discharge is a simple cystitis. I have previously covered how to take a sexual history in the ED here. You will not be able to keep track of every single outbreak on the planet. Try however to follow the simple above-listed rules and hopefully you will be able to spot most potential travel-related illnesses. Use the internet to consult the list of approved websites and maps for outbreaks or endemias. Here at Virchester, we have a very good professional relationship with our virology/microbiology colleagues. Do not hesitate to contact them or your local infectious disease colleagues if something simply does not feel right in someone who recently returned from abroad. I have found them always very keen to help and support our work.